What an unseasonably warm Sunday in New York City. Although Christmas has come and gone, all of the streets and avenues of the Big Apple were alive with people who were, like us, partaking in some post-holiday fun. My sweet boyfriend bought me tickets to see the Radio City Christmas Spectacular (my first time seeing the show). You know, I have lived thirty minutes away from this City for my entire life, yet at times I feel that I have taken that closeness for granted. When I am here, I remember what I love about being here. No matter what day, no matter what hour, New York never sleeps. The lights, the moving banners across Times Square, the curbside venders, the pretzel stands …I love all of it. As the taxi cabs, the double-decker buses and the swift moving pedestrians speed past me, I feel alive among it all. The show, as its name suggests, was spectacular. 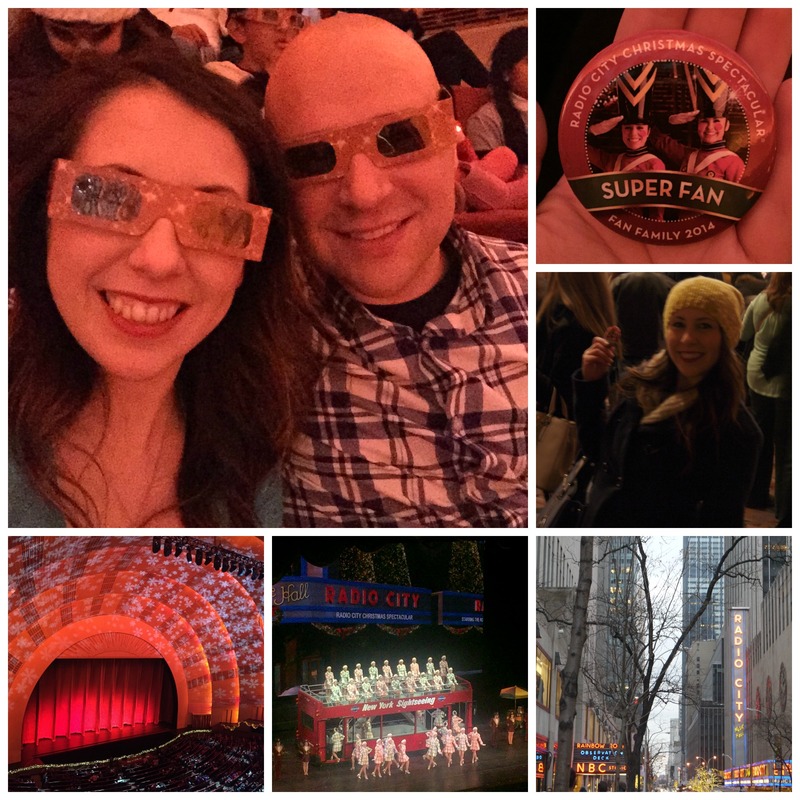 The Rockettes were talented and supremely entertaining. The show in its totality was bright, energetic and chock full of dancing-in-your-seat fun. The snack prices, just like the show, were spectacular, too – Was the $6.00 bottle of diet soda filled with magic or something?! When the show concluded, we left the theater and enjoyed the weather, and the lights, and everything else in between. Thank you, Brian, for the gift and for the experience. We really lucked out with the weather! 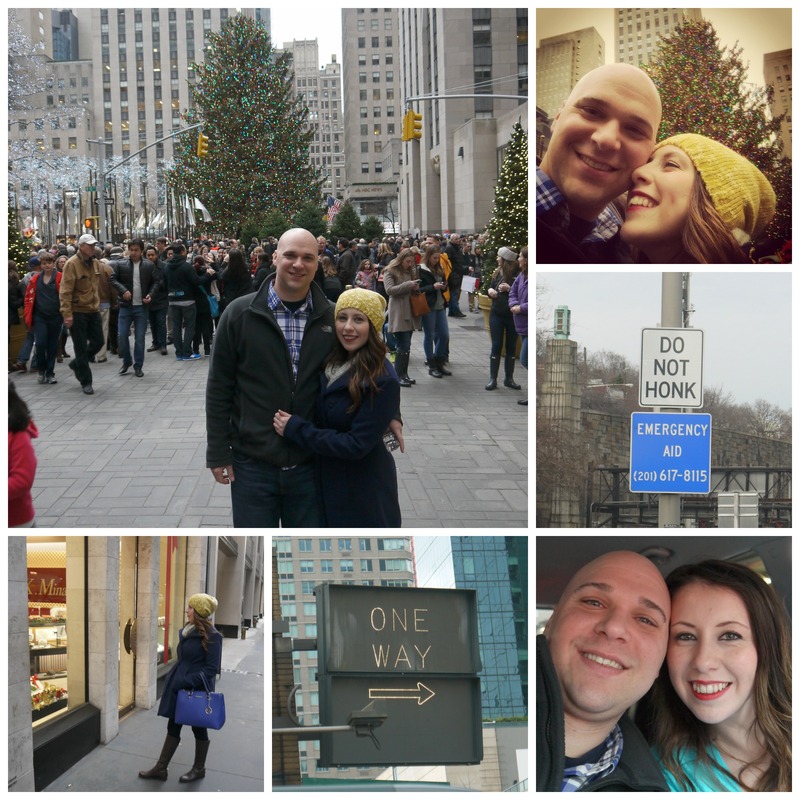 Below are some highlights from our New York adventure. Have you ever visited the Big Apple or seen the show? What was your experience like? 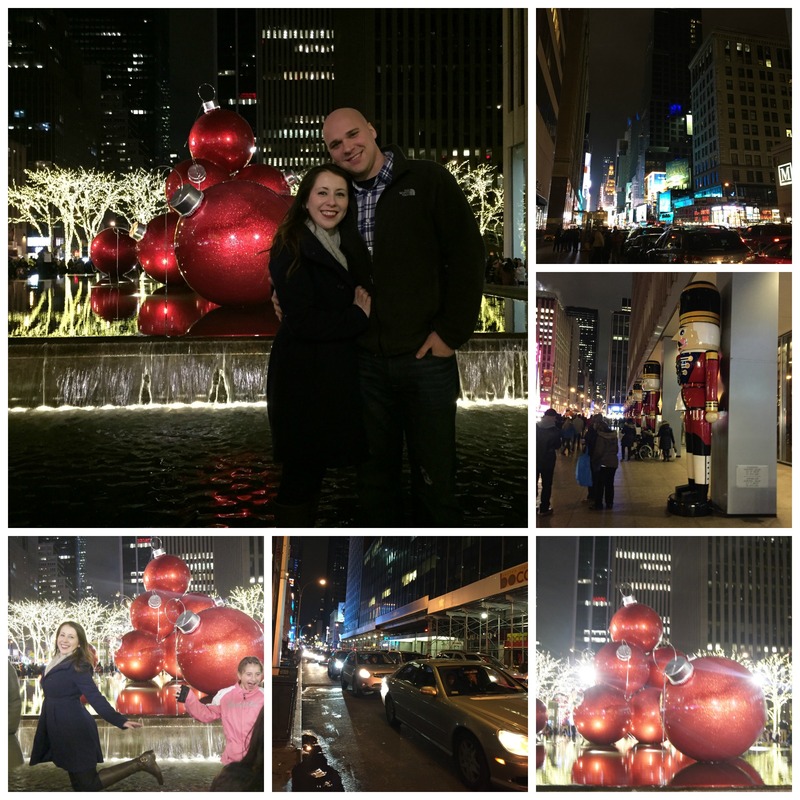 I have never seen the Radio City Christmas Spectacular, but I do love NYC at holiday time. And most every other time too. It is one of the most fun cities to visit. Maybe I’m biased, but you can always find something to do, good food to eat and the people watching is top notch. So true – there is always something to do! I have visited many cities, but New York is unlike any other. A few summers ago, I was in NYC to see a comedy show on a typical Saturday night. After the show, we stuck around to bar hop in the area. I believe it was around 1 a.m. and I was sipping on a cocktail, while sitting on a bar stool by the front window, people watching. It was 1 a.m., yet it felt like early evening because of how much was going on outside. It is so much fun! Living mere blocks away from all that you visited I have become somewhat jaded on a day to day level by NYC, but I do really enjoy it at the holidays. I like watching people see things for the first time. It is pretty great to see the reactions. Happy New Year! It is so nice to watch the reactions of the “first timers!” I was by the Rockefeller tree yesterday afternoon. The amount of excited selfies being taken by mesmerized tourists was uncountable. Then again, I’ve seen the tree so many times and I couldn’t resist taking a selfie. 🙂 There is so much magic around the holidays, but especially so in New York. Happy New Year! I definitely did! Thank you! I’m so glad you had a chance to visit in November. You will have so much to plan for next Christmas. I passed by the Rockefeller Center ice skating rink yesterday. That is something I’ve never done but I want to add to my list! I think we saw that it costs $102.00 during the peak season … but so worth it. Happy New Year! I’ve lived outside this city all my life and its wonderful to be a train-ride away. The Radio City show is always fun. Looks like you had a great weekend. Happy New Year. Yes, we are so lucky to be a train ride away! Train rides are SO much less stressful than driving into the city ..which is what I did on Sunday. Now I remember why I usually take the train 🙂 Happy New Year! I went there in my sophomore year of high school to perform at Carnegie with my choir. Packed in a ton of sight-seeing and had an absolutely wonderful time. Couldn’t believe the prices as Midwesterner, but I’d love to go back again some day. Maybe with a looser schedule so there’s more time to explore. The Guggenheim was closed too, so it’d be nice to get in there (and of course, see another Broadway show, cause, come on, it’s Broadway, right?). Happy new year. Abigail, how cool that you performed at Carnegie Hall! You should definitely make a trip back some day. The prices have not changed, but don’t hesitate because of that 😉 Happy New Year to you as well! Wasn’t it just an absolute gorgeous weekend right after Christmas? Merry Christmas and Happy New Year. Enjoy your holiday!!! It was perfect! Merry Christmas and Happy New Year to you as well!